When the Philadelphia Eagles' schedule came out, there was one glaring disadvantage – a Week 4 bye, which is the earliest possible time you can get your week off. Generally speaking, NFL teams like to get their bye week later in the year, when the grind of the season really begins to take a toll on players' bodies. In the case of the Eagles, the early Week 4 bye doesn't help much in the way of allowing injured players to get healthy. Their injury list was already short, as CB Leodis McKelvin and TE Zach Ertz were the only two players on the shelf, and might have even been ready to play if the Eagles were playing this week. Worse, in case you haven't noticed, the Eagles are playing some outstanding football right now. The bye week comes at a time when confidence is high and the team is rolling. Still, griping about the bye week is nitpicking. Overall, the schedule makers were very kind to the Eagles this year, as we noted way back in April. • The Eagles have the seventh-easiest schedule in the NFL, based on their opponents' combined winning percentage in 2015. The teams the Eagles will face in 2016 had a combined record of 120-136 in 2015. They had a combined point differential of -63. • The Eagles got two opponents right off the bat who were not expected to be good in 2016. The Browns were 3-13 in 2015, while the Bears were 6-10. So far in 2016, they're a combined 0-6. Credit the Eagles for taking care of business (and then some) against weaker opponents. There's perhaps some logic that you would prefer to face your tougher opponents later in the season when their roster may be altered due to injuries. For example, in 2013, the Eagles faced a Green Bay team without Aaron Rodgers and a Dallas team without Tony Romo on their way to a division title. • If the Eagles are indeed playoff contention heading into December as we suspect they'll be, they'll have three home games, all against division rivals, in their final four games. If you haven't been to any Eagles games live yet this season, their home field advantage is back, as the stadium is once again loud. 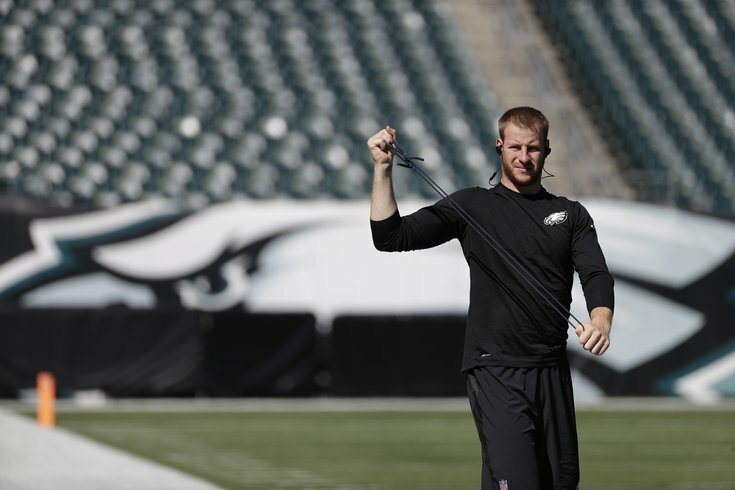 The Eagles are the third and final road game of those three-game stretches in both instances. That is a huge advantage. It's even more advantageous that they occur near the end of the season. • The Eagles have a home Thursday game (vs. the Giants Week 16), which are thought of as significant advantages. However, it's not as if the Giants have all that far to travel to get to Philly. The real advantage is that the Eagles will have four more days of rest and preparation for their Week 17 finale against the Cowboys, who play on Monday night Week 16. • The Eagles only have one long flight outside of their divisional games. That's against the Seahawks Week 11. Only five of their games will require a flight... at all. • The Eagles will face three teams coming off their bye weeks on three consecutive weeks – the Vikings (Week 7), the Cowboys (Week 8), and the Giants (Week 9). • The three-game stretch in the back half of the season against the Seahawks, Packers, and Bengals is brutal. Those three teams combined for a 32-16 record in 2015. (They're 6-4 to begin 2016). That's it for the disadvantages, as far as I can tell. Obviously, there are far more advantages than disadvantages.